So Neda's got a dead battery that won't hold a charge anymore and we're stuck in a gas station parking lot, exactly halfway between Budapest and the Croatian border. What are our options? We definitely need a new battery. 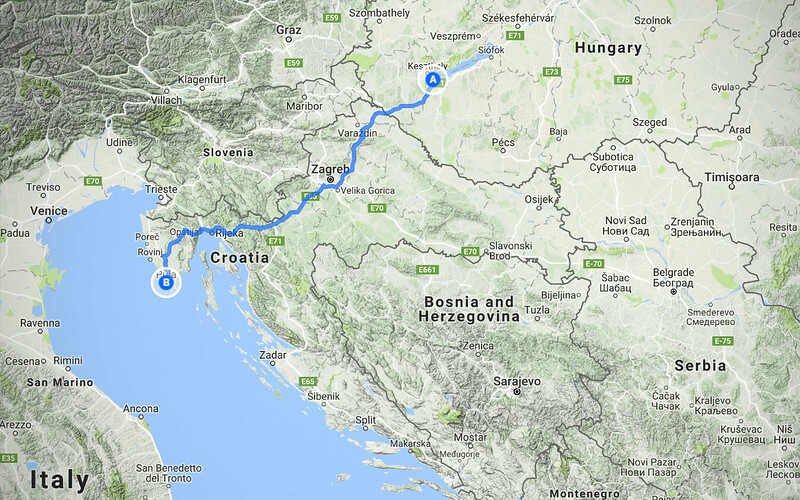 Our first inclination is to just make it to Croatia somehow. We don't speak Hungarian, we don't know where anything is. We're feeling really helpless in this foreign place. If we can just make it across the border, then Neda can speak her native tongue, make calls, arrange stuff... We just need to get across the border. Neda calls the dealership in Zagreb. They tell her they can't send any tow trucks across the border. So we're stuck in Hungary. Maybe call the dealership in Budapest? But that's going backwards and we need to be in Pula soon. We're not thinking clearly. Why the laser focus on getting to Croatia?!? Surely there must be a place somewhere around here that sells motorcycle batteries? Bit by bit, our senses return to us. I hop on the Internet and sure enough there is a motorcycle store just a few kms off the highway. Okay. We'll pick up a new battery there and then back on the road! I call them. And they speak no English. Argh. I'm going to need some assistance... Thankfully a girl behind the counter at the gas station speaks fluent English and helps us with the motorcycle store. They have a battery in stock, but they'll have to charge it first - it can't be used immediately. And it'll take several hours to charge. And the store is closing soon... So the earliest we could have it would be in the morning. The very helpful girl at the gas station was listening to us fret and worry in front of her and she interrupted us: "We have a store-room in the back of the station. You can keep all your bags here and if you leave your motorcycle right in front, then it'll be in view of our security camera". Brilliant! OMG, this girl was such a lifesaver! She even told us about a small town just a few kms away where we could find some accommodations. Throughout this trip, we've been blessed to meet so many people that have helped us out. We were beyond grateful and couldn't stop thanking her enough! With the luggage safely stored and Neda's bike parked in front of the gas station, we two-upped to the town the girl told us about. It was less than 15 kms away. 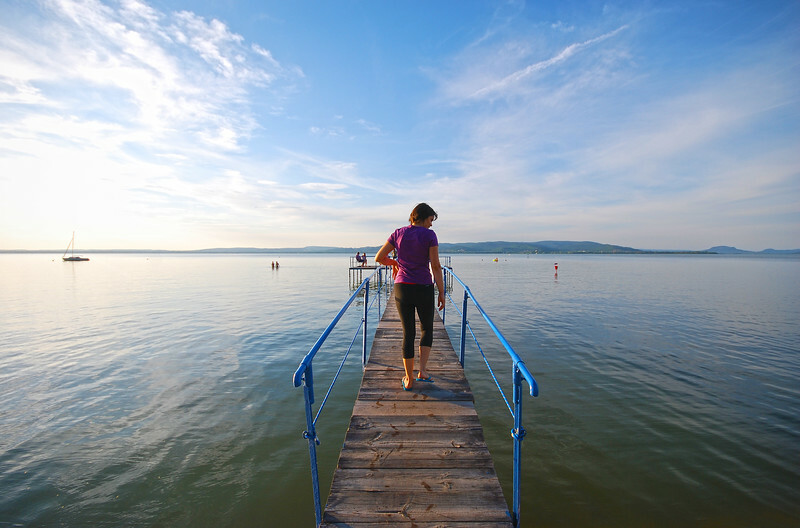 Balatonberény turned out to be a very pretty lakeside resort community! Great suggestion! 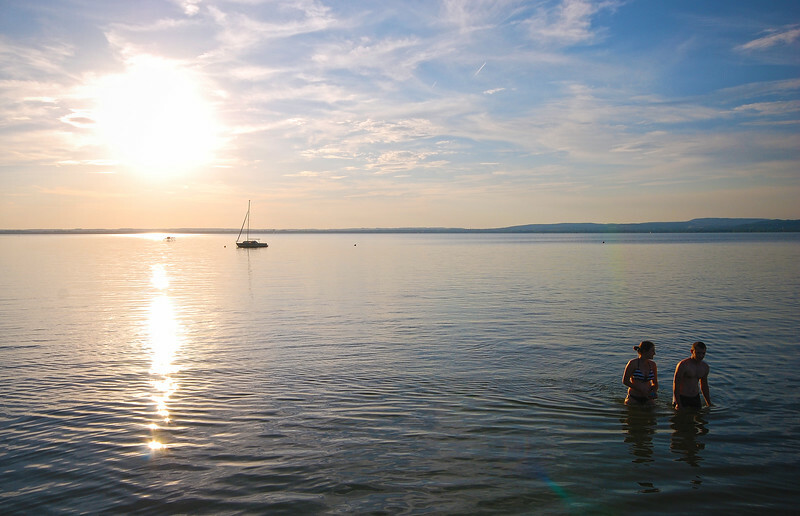 We spent the entire evening walking aroung the very pretty beaches in Balatonberény. After the last couple of weeks of rushing to get to Croatia, it was actually quite therapeutic to have things taken out of our hands and be forced to slow all the way down. We hadn't realized just how frazzled and weary we've become. We've been traveling non-stop not just after arriving to Europe, but really ever since we left Chiang Mai five months ago. We are due for a very, very, very long break. These ducks look so peaceful. 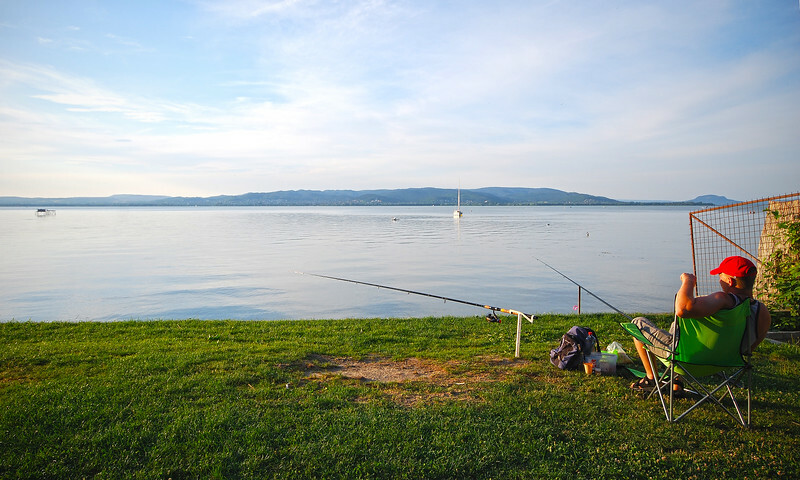 We need a bit of that right now. I can't believe we found this oasis of serenity through a combination of bad and good luck. It's not somewhere we normally would have stopped, but we're glad we stumbled upon it! ....and there it is... 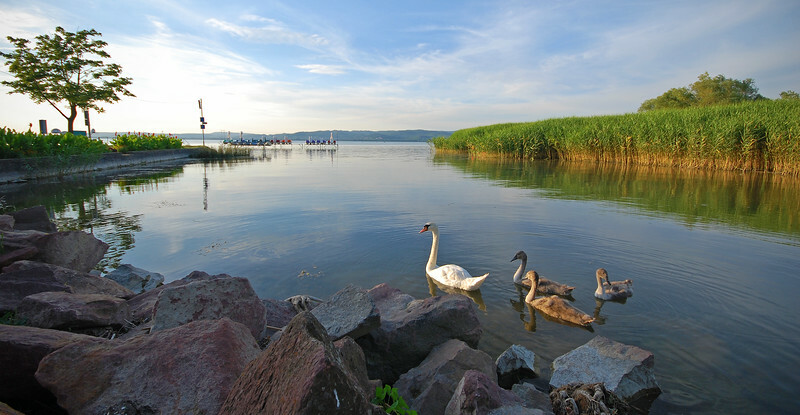 Thank you, Balatonberény! 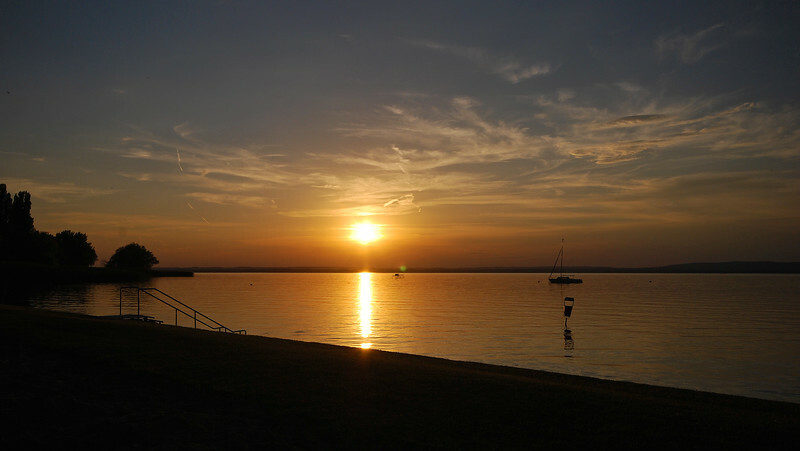 After the sun sets, my new-found calm starts to get eaten away by the ghosts that haunt my thoughts at night. I don't normally fall asleep till around 3-4AM, so after Neda is out, I have a lot of time to dwell on things. With all these problems we're experiencing, how much of it is our own neglect...? Sleep doesn't come easy for me that night. We pull out Neda's bags from storage. Unfortunately the girl from yesterday is not working this morning. I would have liked to show her our appreciation somehow, buy her some chocolates or something. As for the new battery... 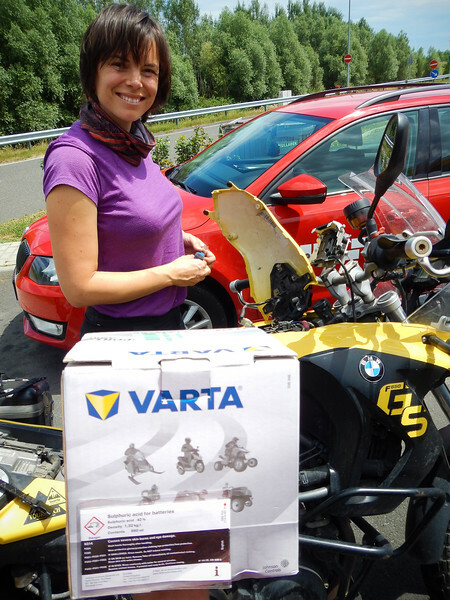 I've never heard of Varta before... Hopefully it's better than that Italian one we picked up a couple of years ago! And then, the moment of truth... Neda hits the starter and the bike fires up good as new! Not bad, less than 24 hours delay and we're back on the road to Pula! 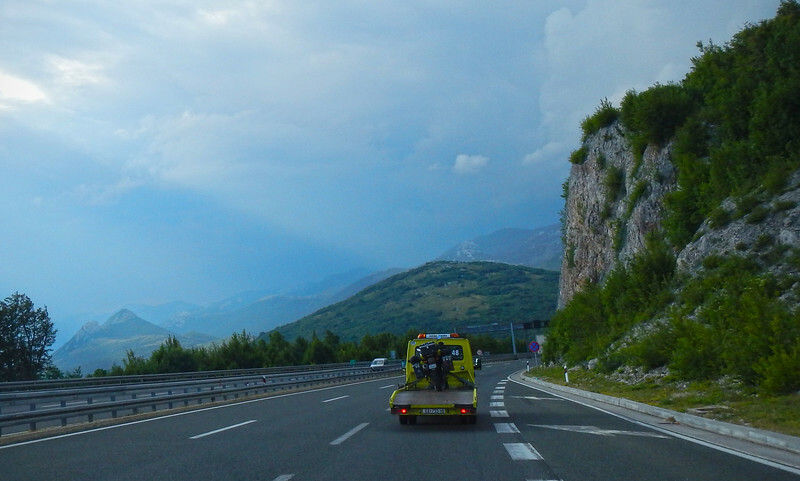 On the highway, we motor right through the Croatian border and although no words are exchanged over the intercom, I sense that Neda is slightly relieved to be back on familiar soil. 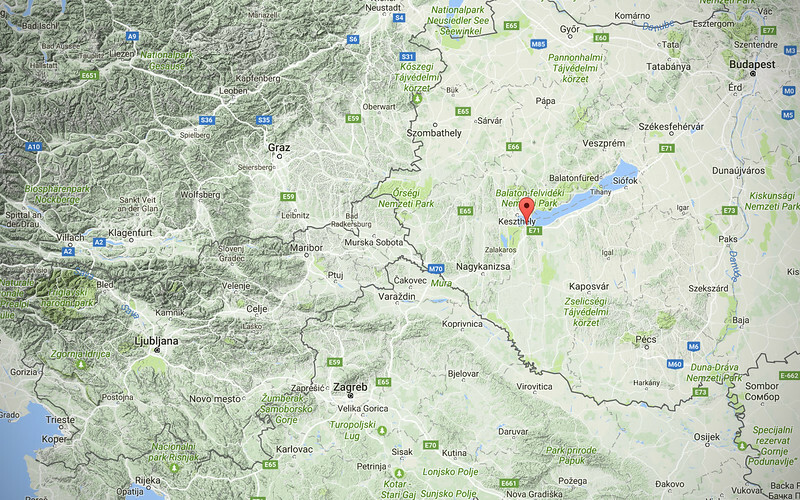 I had entered the Zagreb BMW dealership on my GPS and I stare at the waypoint as we pass right by it on the highway. If we didn't have to make to Pula, I would have liked to have gotten both our bikes checked out... Neda's battery, my front brake light switch. And that damn shaft drive. Is it me, or has my rear tire been wobbling more and more the last couple of weeks...? I know *EXACTLY* what the problem is now. It wasn't the battery. It was the dreaded burnt stator within the charging system. It's a well-known problem with the F800GS bikes. I've read about so many people experiencing it, but I always assumed since Neda got a later model and a F650GS that she would be immune to it. I can't believe we just threw out a good battery and bought a brand new one when we didn't have to. I feel sorry for cursing out that Italian-made battery... It did its job well. All of these unnecessary costs sting a lot. And to top it off, we do own a battery charger, so we could have given her new battery one more charge to get us to Pula. But we left the charger... in Pula - thinking we'd be back soon enough. %$^$^! I talked to everyone at the gas station to see if they had a charger or would sell me one. No luck. We are both feeling very low right now. It seems that in the past week there's been an unseen, yet palpable force trying to stop us from reaching the Istrian peninsula. The closer we get, the more problems seem to crop up. It really feels like a giant invisible hand swatting us down every time we get back up. It doesn't help that we are both travel fatigued on top of things. Neda is particularly despondent. She just wants to throw up her hands and forget about getting to Pula. 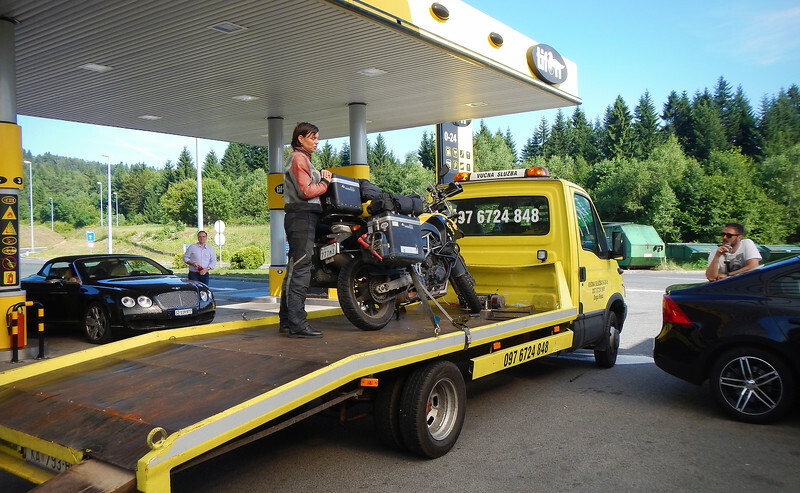 Just get towed to Zagreb and get all of our issues fixed right now. But I talked her out of it. We just spent the last couple of weeks rushing through our trip to get back to her hometown, we were *NOT* going to give up within the last 200 kms. So we're towing her bike to Pula. We'll worry about getting everything fixed later. We're all limping home now. Both us and our bikes are in rough shape. All four of us need some fixing up, but at least we'll be in familiar surroundings and amongst family and friends.